If you are a fan of Nathan Drake and the Uncharted Series, this must be a satisfying year. After waiting for almost 5 years, Uncharted 4 – A thief’s end is finally here. Guessing by the recent family reunion and the tension in the trailer, we are guessing that there will be a little drama in this latest instalment. 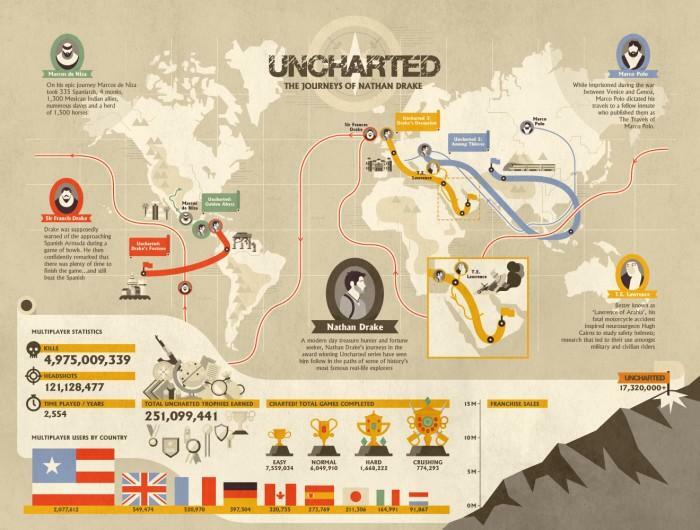 The Uncharted series has covered many terrains on the globe, from the ruins in South America, to South East Asia, and the deserts of the Middle East, but if you truly want to follow his path, here is a great infographic that does exactly that.